Visit Immersion Research's Thick Skin Pant page. Originally designed to be an ultra-warm, quick-dry layer worn under your paddle pants, the Immersion Research Women's Thick Skin Pant has since developed a rather versatile reputation. Made in part with eco-friendly recycled polyester, this heavyweight, form-fitting layer seals in the warmth with its four-way stretch, double-sided fleece fabric. Stuff 'em in your drybag for your paddle trip to College Fjord, pull 'em out when the temperature takes a nosedive, and keep 'em on while you set up camp within earshot of a calving glacier. Immersion Research Women's Thick Skin Kayak Pants - Every ecologically conscious boater should have a piece of IR Thick Skin in her gear bag! Thick Skin is a form fitting, cold weather insulating base layer. 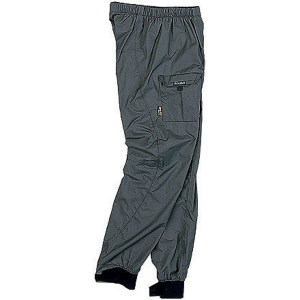 These pants are made with soft, plush Greenplus(r) environmentally friendly polyester, creating a heavy weight, stretchy, double sided fleece. The 4-way stretch perfectly matches your movements. It's perfect for layering under your paddling pants. Thick Skin also has a UPF rating of 40+, blocking 97% of UV rays. The flat seam construction and lycra-bound waistband offer a more comfortable fit, and help prevent chafing. A unique anti-microbial finish protects against paddling odors. The Immersion Research Women's Thick Skin Pant is not available from the stores we monitor. It was last seen March 27, 2019	at Outdoorplay.